I am looking forward to a year full of variety, creatively-speaking! The first half of 2015 was a busy year on the personal front (mostly good things! 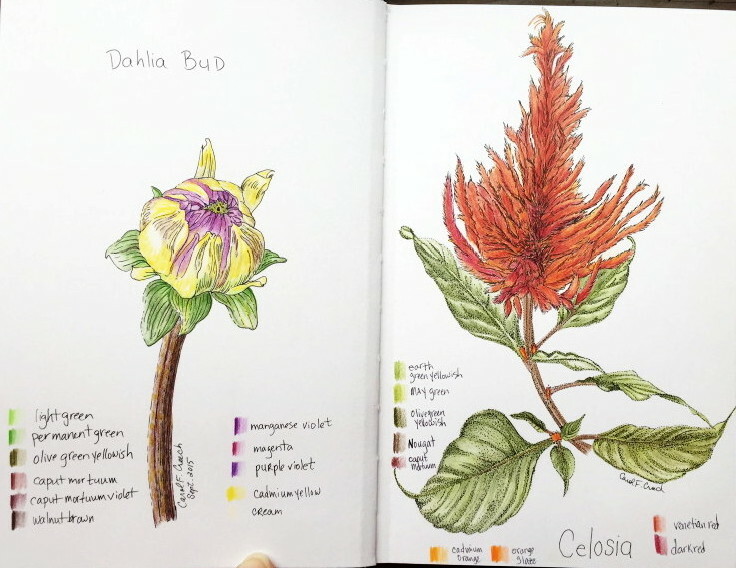 ), so I did not keep up with much artwork, except for the international Sketchbook Exchange that started in 2014. It was a great project, and I am pleased to report that we are doing another round! My next book was sent out in October. We took a break over the holidays, so I have two more sitting on my desk that I need to complete. Stay tuned for updates as I get working on those. Another thing I spent time on last fall was getting back to jewelry and journal making more regularly. 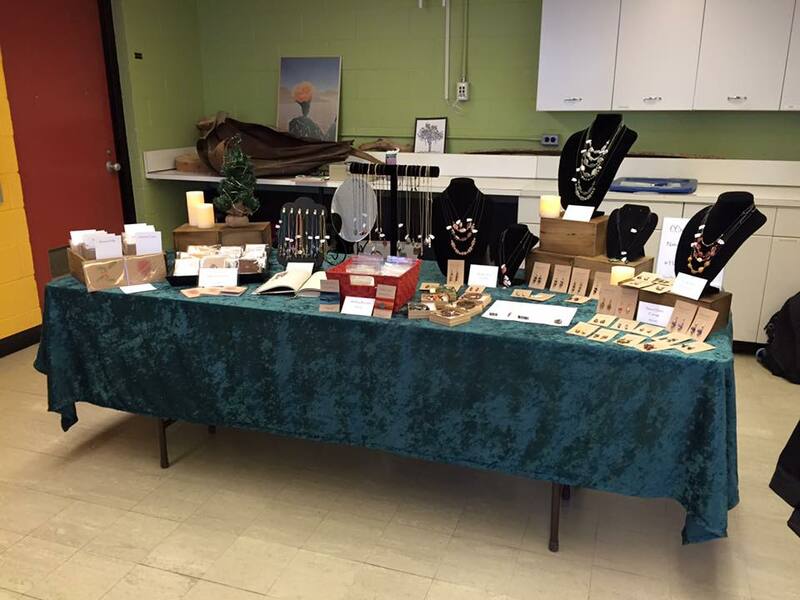 I participated in Matthaei Botanical Garden’s first annual Holiday Artisan Market on Dec. 6. It was a wonderful event with steady crowds and sales, so I am hoping they will continue it next year! I also plan to continue increasing my inventory on all fronts: hand-knotted bookmarks, earrings, pendants, necklaces, jotter journals, leather mini-journals and cards. I am sure I will sneak something new in there as I sort through my supplies! My table at the Matthaei Holiday Artisan Market! I have moved my blog over here to WordPress and pointed my ccreechstudio domain to this site. I plan to streamline the content a bit more, giving a brief highlight of the various types of art that I do, but also keeping the blog updated regularly. So, if you haven’t already, please Follow (enter your email into the field at the bottom left and click the follow button) along to keep up-to-date on the latest news from my studio! Wishing you a wonderfully creative 2016!